The Young Man was a monthly British magazine. 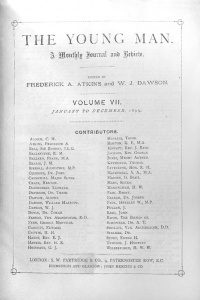 Between 1893 and 1899, the magazine published 2 articles written by Arthur Conan Doyle and 1 interview. This page was last edited on 22 September 2018, at 18:33.